Whether you’re looking to beautify your home or save money in the kitchen, growing your own windowsill or indoor herb garden is an economical way to satisfy both goals. While all herbs can adapt to life indoors and outdoors, their success depends on different environmental factors like soil type and temperature. 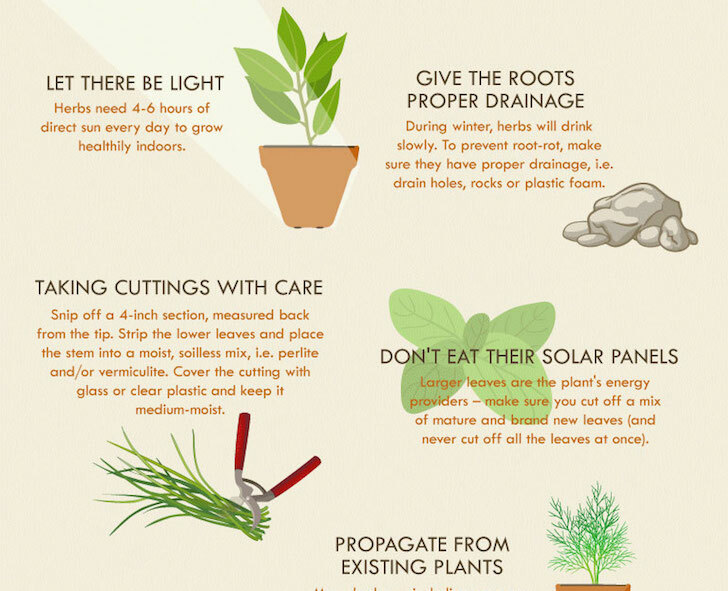 Anglian Home makes it easy to learn those ideal plant care conditions in this herb grower’s cheat sheet, an infographic with tips, tricks, and care recommendations for over a dozen herbs, from basil to thyme.